Drunk and resentful, Ted Narracott (Peter Mullan), a local farmer, outbids his landlord, Mr. Lyons (David Thewlis), to buy a horse better suited for racing than plowing, even though Rose (Emily Watson), his wife, correctly points out that they can not afford it. To everyone’s surprise, their son Albert (Jeremy Irvine) trains the horse, who has been named Joey, to come at his call and to pull a plow. Unfortunately, disaster strikes, and the father is forced to sell the horse to Captain James Nicholls (Tom Hiddleston), a cavalry officer, as WWI starts. 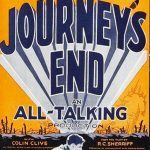 As the war progresses, Joey passes through a series of owners, including a German ambulance driver, a French farmer, and a horse wrangler for the German artillery, before he is finally reunited with Albert. 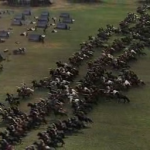 Although it is primarily a movie about a horse and his human, there are several superb battlefield scenes. The statement “History has shown that cavalry charges are decisive” by a major in the British cavalry early in the film captures the thinking at the beginning of the war, and the cavalry soon learn the hard way about the deadly nature of machine guns. Actually, not everyone absorbed the lesson. Field Marshal Sir Douglas Haig, the commander of the British army for most of WWI, was an ex-cavalryman, and he threw larger and larger numbers of men at the enemy lines hoping to create an opening for the cavalry to pour through and inflict a decisive defeat, even though this strategy simply produced ever-increasing piles of dead and wounded. 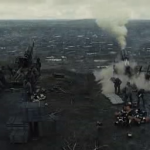 The British troops in the trenches enduring shelling from German howitzers are understandably scared, and the scene where they go over the top into the wasteland of No Man’s Land to be decimated by German artillery and machine guns conveys the terror the real soldiers must have felt. While the action sequences have a shocking realism, the scenes showing the bloody aftermath of a battle have the sound turned off, so the wounded men and horses writhing in agony are seen but not heard. Shortly after Joey is sold to Captain Nicholls, the troops and new recruits march off past the cheering villagers as Albert swears to Joey that he will find him wherever he is. By 1918, Albert is in the army, and it is implied that Albert enlisted because he wanted to find Joey, but to be honest, he would have been drafted anyway. 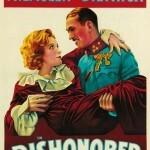 It would have seemed natural to contrast the blind optimism of the recruits as they march away, still wearing their civilian clothes, with the disillusionment that the survivors would feel after a couple of years at the front, but the film is about the horse, and everyone else are merely supporting characters. The refusal to deal with disillusionment is especially strange since the script had even set up a father-son conflict to illustrate the contrast between bitter veterans and naive youth. Albert’s father had won a number of medals during the Boer War (1899-1902), but he refuses to be proud of killing and drinks to forget. Unable to conceive of the horrors of war, Albert thinks that he would be proud of being a hero even if it meant killing, which sets up an interesting plot point that never re-appears. The need for a mass army helped break down class divisions in England, since officers were no longer drawn primarily from the upper class, but this issue is ignored, which is odd since the writers were British. Even a scene where Albert bonds with the landlord’s son, an officer in Albert’s unit, after Albert saves his life, seems formulaic and subordinate to the key issue of re-uniting a horse with his human. 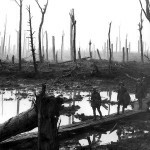 At one point, two young German soldiers desert after the older brother learns that his younger brother, who is underage, will be sent to the front. While the soldier’s desire to protect his younger brother is touching, the character’s actions make no sense; the Germans were bursting with patriotism at the beginning of the war. In fact, after the initial attempt to conquer France failed, reserve divisions made up of volunteers, recruited from high schools and universities, were sent into battle at Ypres with only six weeks of training. Since there were no trained officers or NCOs, they were commanded by cadets from the military academies, and schoolmasters served as their NCOs. The acting is quite good throughout the film but the standouts are David Thewlis, who oozes patronizing contempt as the villainous landlord, while Emily Watson breathes life into the role of a long-suffering wife, who still sees the worth in her husband. Joey has a convenient white marking on its forehead to distinguish it from other horses for those of us who think that all horses look alike. Apparently there are only three seconds of CGI in the entire film, which were done simply to protect the horse, so respect to director Steven Spielberg for resisting the recent trend of cramming films full of CGI. I have no idea how the death of one horse from exhaustion was filmed, but it is not pleasant to watch. Originally, there would have only been a few, brief scenes in Dartmoor, Devon, the English county where the family’s farm was set. Once Spielberg actually saw images of the locations, the schedule was immediately changed, which explains why there are so many scenes of Albert bonding with Joey. 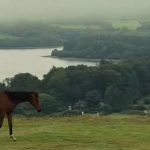 The scenery is genuinely amazing, but I wish that they had simply focused on the jaw-droppingly beautiful landscape, rather than relegate it to background scenery for the story of a young man who tames a horse through love. Despite my criticism of the story’s overall structure, it has to be mentioned that the film has a number of charming scenes. Only a grouch would remain unmoved by the French farmer’s headstrong grand-daughter’s futile attempt to teach Joey how to jump a fence. 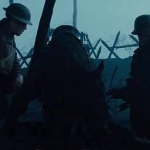 The scene where a British soldier goes out into No Man’s Land to rescue Joey, who has become tangled in barbed wire, and is joined by an English-speaking German soldier is an astonishing mix of eeriness, humor and decency that would touch even the grumpiest of hearts, and is undoubtedly the best scene in the movie. The script’s main weakness is that the viewer is supposed to sympathize with the people who care for Joey and have their hearts broken when he is taken away. It was a war of unimaginable carnage that produced many, many blinded or maimed men but what really matters is that Joey and Albert find each other. 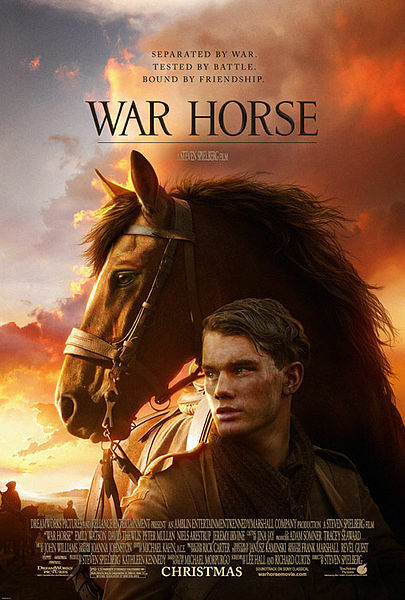 There is nothing wrong with showing the war through the eyes of a horse because the viewer is exposed to parts of WWI usually neglected by war movies. However, that is no excuse for having the goal of the movie to be re-uniting the two, not ending the war. Steven Spielberg is an artist of superb ability, and that ability is in fine form in the movie, unfortunately his artistic vision is weakened by a lamentable tendency towards melodrama, and the resulting film is not suitable for anyone who has a low tolerance for sugar. Anyone that loves animals and has a soul will love this flick. At least eight million horses were killed in WWI. How accurate or realistic is it that Joey would have survived? Please do not misinterpret my question as a criticism of your post, the movie, book, or play. I value your opinion and share your concern about historical accuracy. No offense taken. I agree that it is not very realistic, but it is Steven Spielberg movie, reality is not emphasized, except to be fair, in Lincoln. As to historical accuracy, the cavalry depicted as British were actually three Canadian regiments; the Lord Strathcona Horse, the Fort Garry Horse and the Royal Canadian Dragoons, of which my uncle was one.